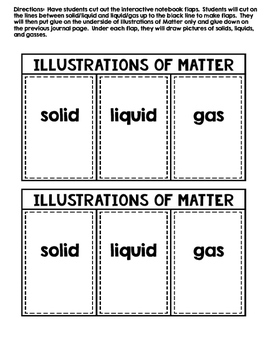 This product contains materials related to the science subject of matter. 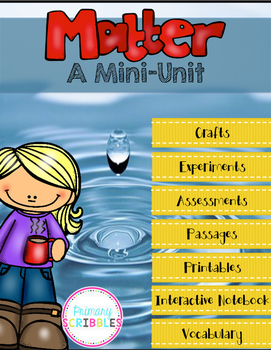 In this product, you will receive reading passages, questions, several printables, interactive notebook journal with all information needed to complete the interactive notebook, vocabulary cards and pictures, vocabulary assessments, end of unit matter assessment, experiments, experiment response sheets, graphic organizers, printables, and extensions (plus more). 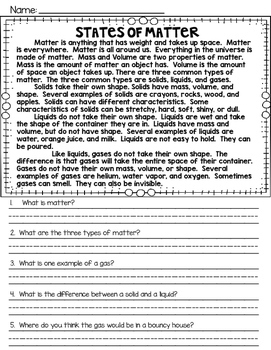 I hope you enjoy this product and find this product helpful when teaching matter. 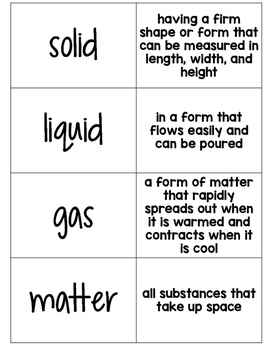 This product would be great to teach as a science unit on matter if you are studying matter. Many of the products can be used whole group, small group, or during centers. Please view the product preview to make sure this is what you are looking for.